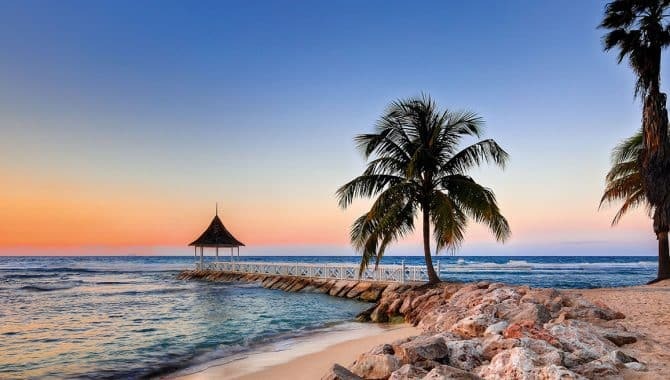 Staying at a boutique beach hotel in Jamaica means laid-back Jamaican vibes guide your vacation. 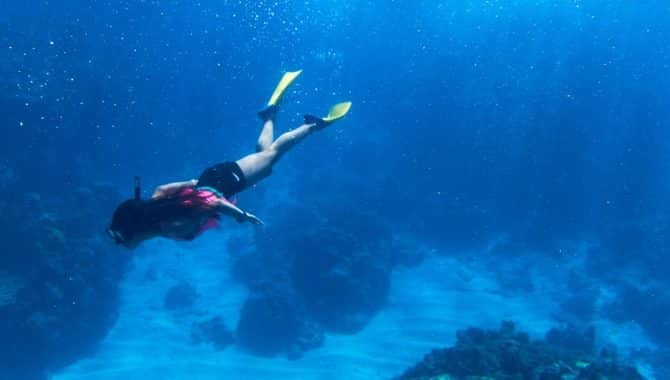 There’s no pressure to fit in as many excursions as time allows or wake up early to “make the most of the day,” all you have to do on vacation is simply be. 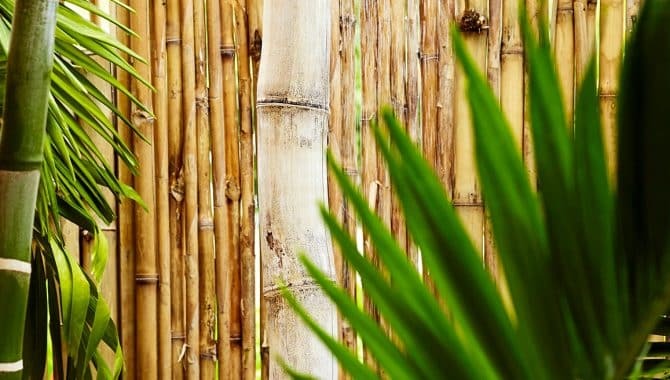 Get a spa treatment, dine gourmet and soak up nature as much or as little as you want. 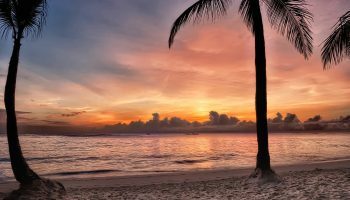 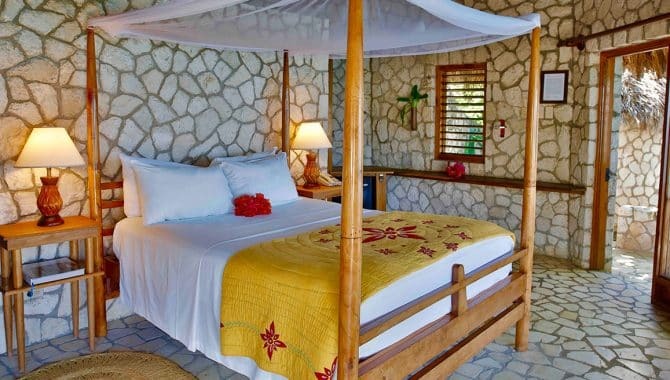 Move to the rhythm your soul needs as you rest and relax on one of the Carribean’s fairest islands. 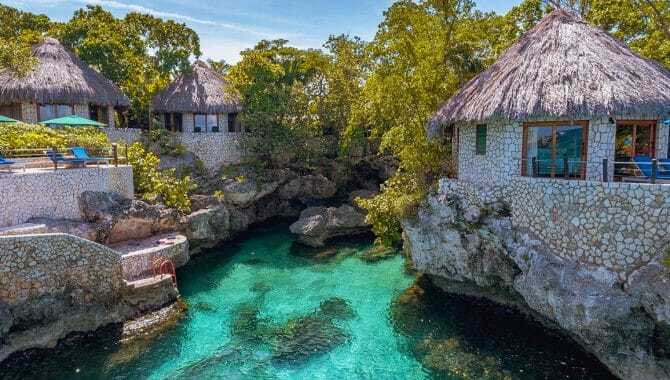 A dazzling boutique hotel made up of mosaic-tiled huts sitting right in the cliff’s edge over turquoise water that’s just begging you to dive in. 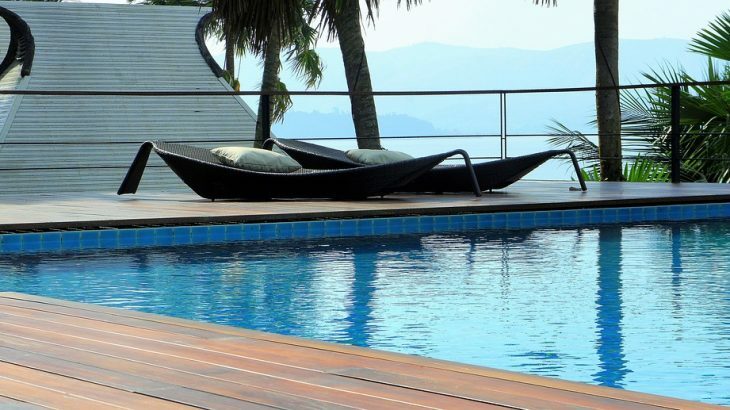 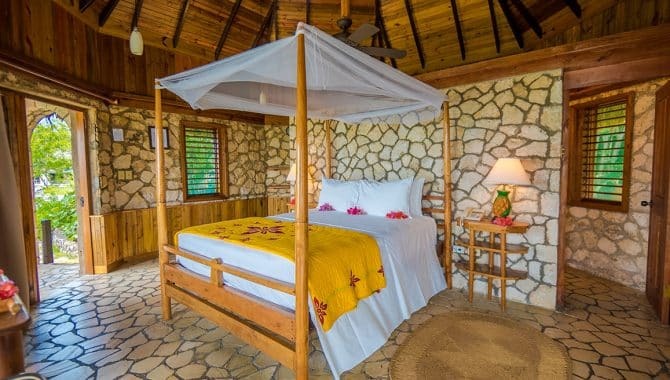 Green Globe Certified, this ecofriendly retreat is built with natural materials and made to blend in with the surrounding nature, meaning right outside your room you can climb into azure-blue Pristine Cove for a swim or snorkel. 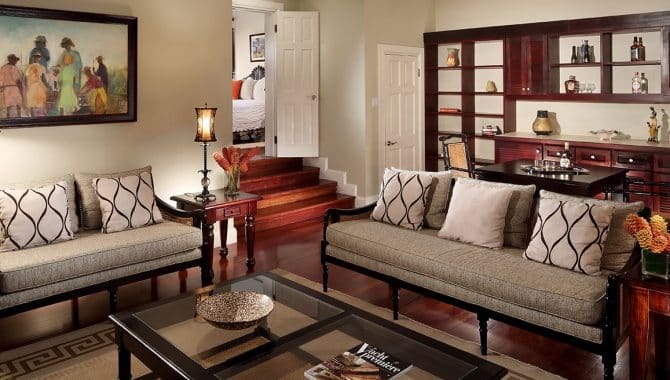 All 34 rooms have a queen-size bed, safe, WiFi and, most importantly, no TVs. 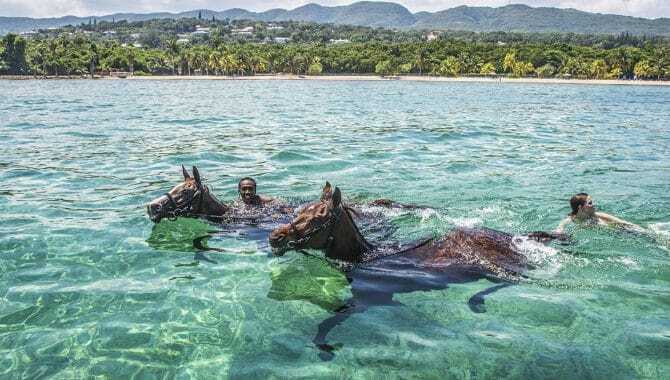 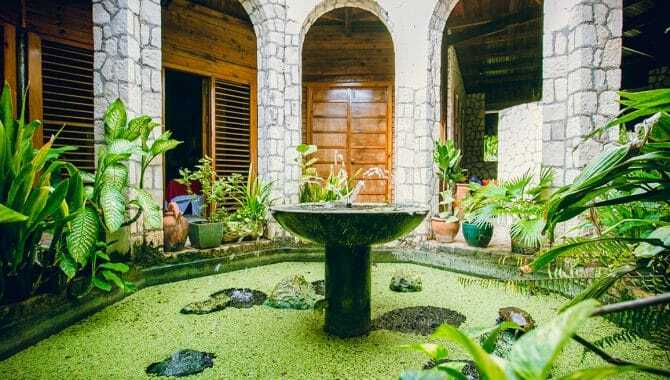 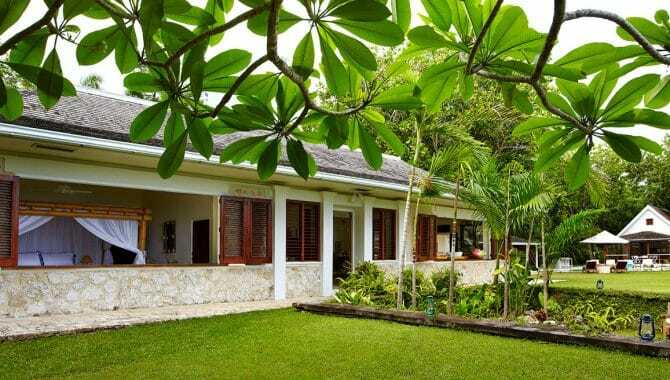 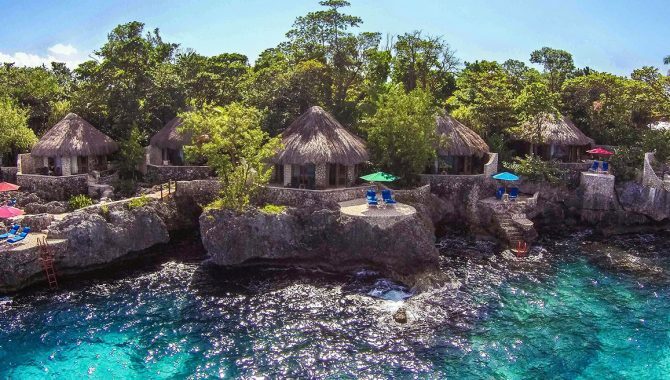 Rockhouse Hotel is a Jamaica vacation for the nature-lover-at-heart that appreciates luxury. 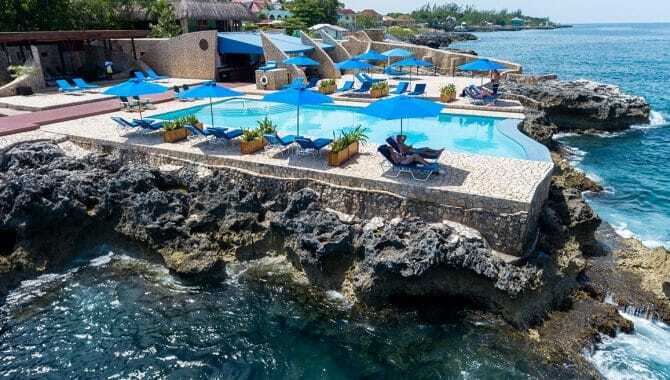 The Premium Villas and Villas sit right on the cliffs facing the sunset with personal sound systems so you can jam to reggae to your heart’s content, while the Garden Villas, Studios and Standards have private outdoor showers, garden-seating areas and garden or water views. 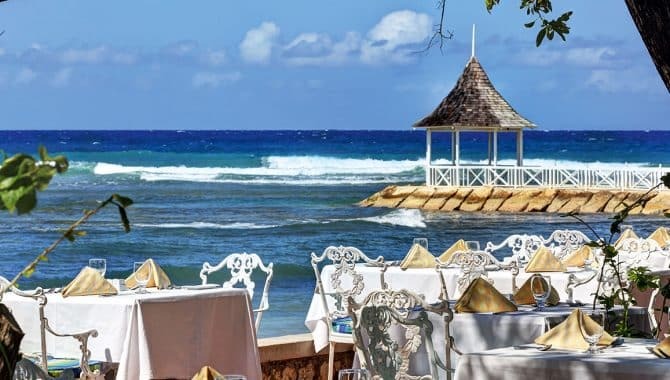 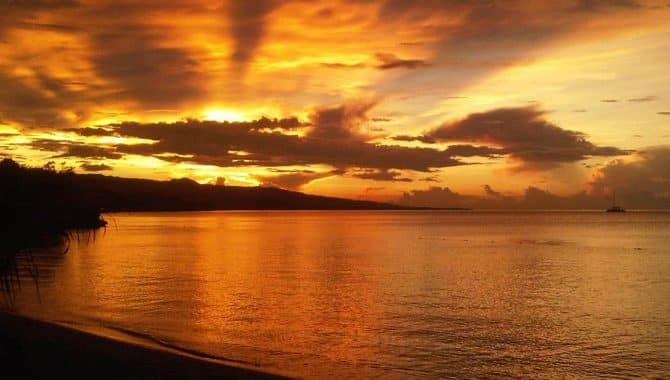 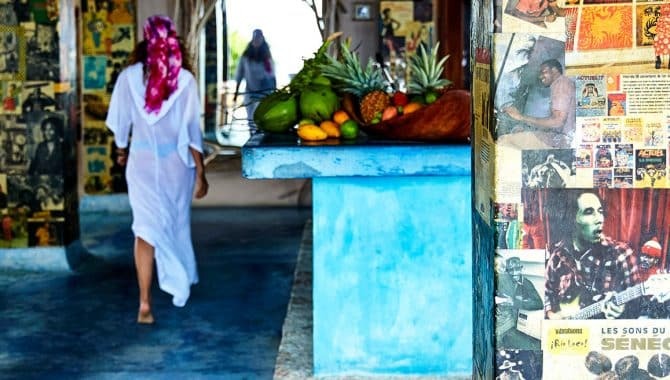 If the views here don’t make you fall in love, the food will—the restaurants here are three of Jamaica’s most popular. 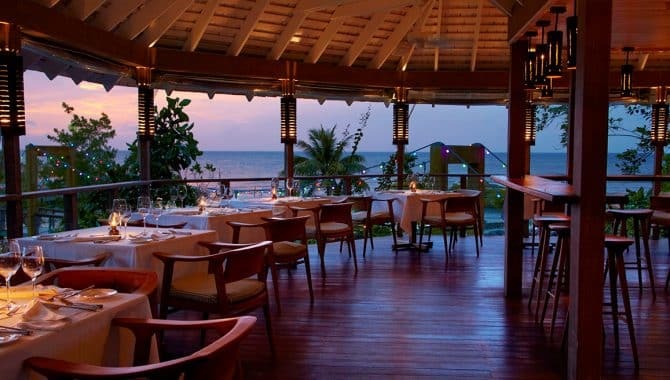 Rockhouse Restaurant is a fine-dining experience overlooking Pristine Cove with Caribbean cuisine. 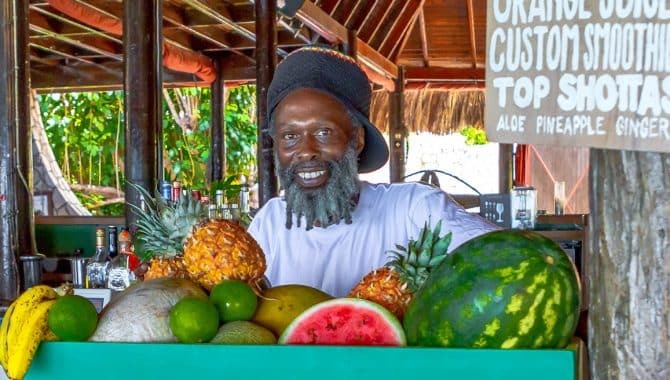 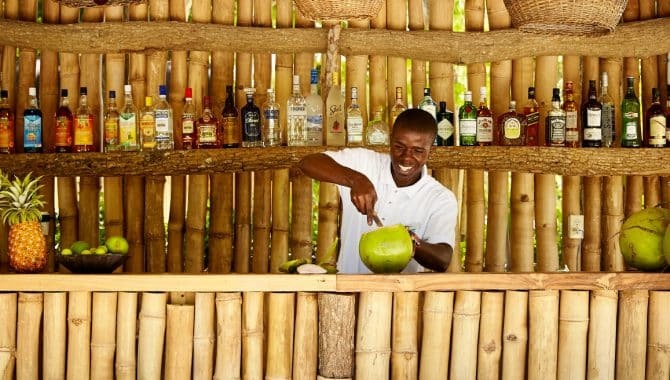 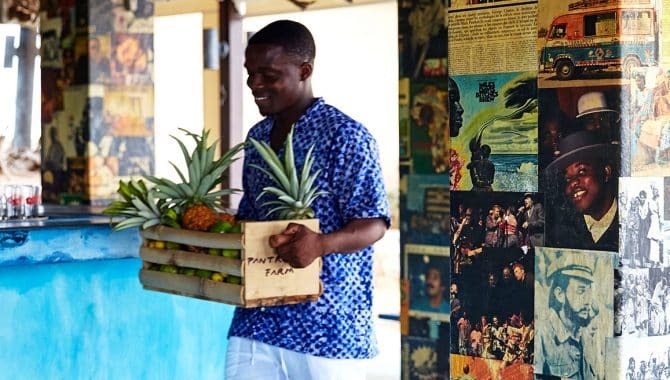 Pushcart Restaurant & Rum Bar offers a traditional Jamaican dining experience—move to the live music as you order up Jamaican classics like jerk chicken and curried goat then wash it all down with a delicious rum. 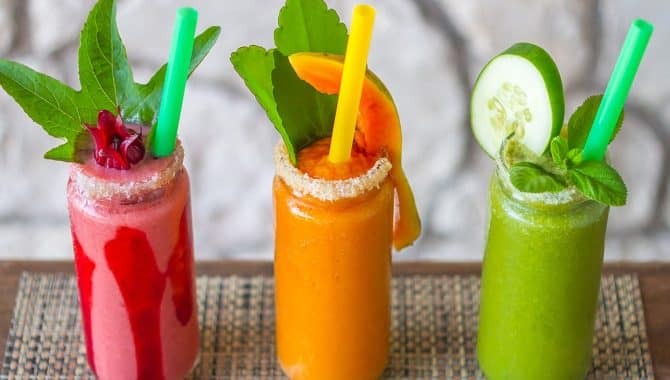 The Pool Bar & Grill is the perfect spot to enjoy a sumptuous cocktail, eat a burger and watch the sunset, but if you’re in the mood for something more rejuvenating, pop by the Juice Bar for a fresh juice made using produce from the on-site organic garden. 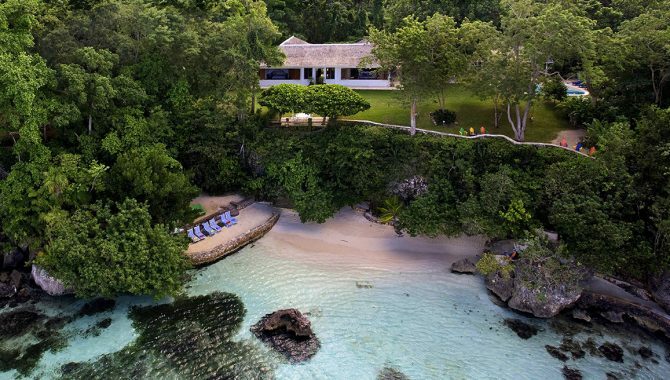 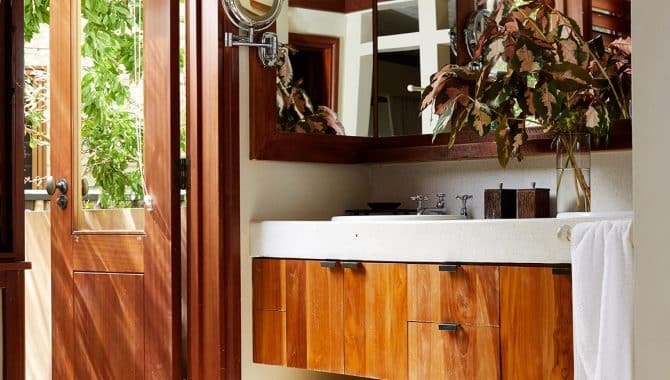 Rockhouse’s on-site spa received the World Travel Award for best spa in Jamaica, twice. 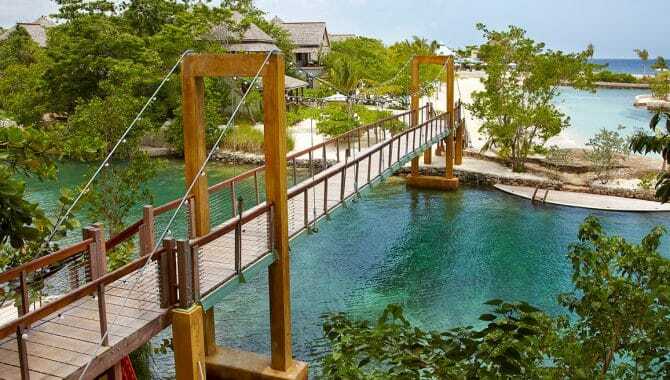 Using all-natural Caribbean-made products, the holistic-therapy spa team takes you to a place of complete weightlessness. 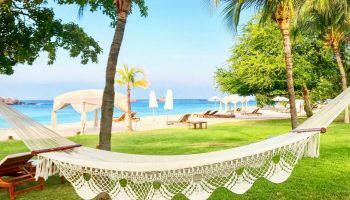 Similarly, the daily Iyengar Hatha-style yoga classes will bring you to a peaceful state that fully allows you to embrace your vacation. 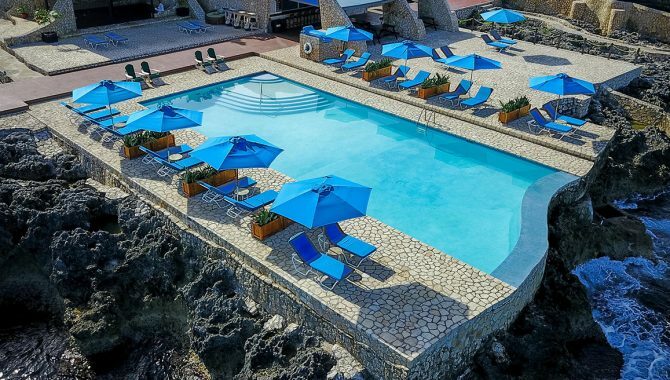 For daily activities, you have the most beautiful cove right outside your door—which you can rent snorkel gear for at the Pool Bar—and weekly classes in cooking, painting, Zumba, African drumming and more. 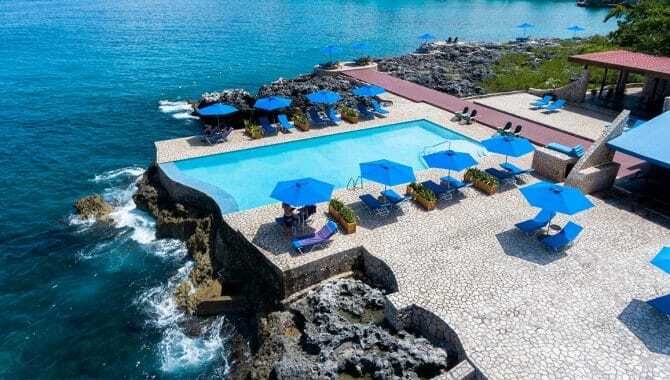 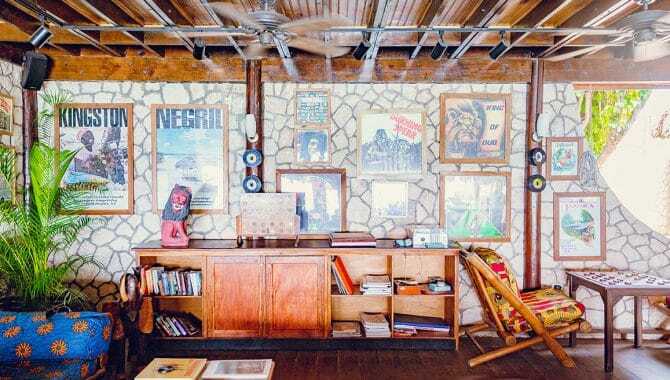 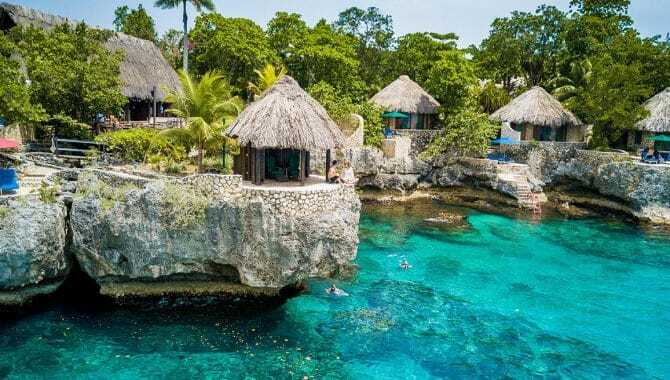 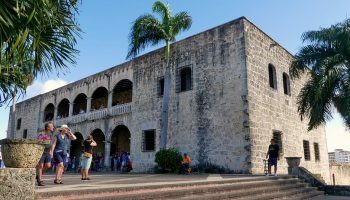 To learn about the hotel’s charitable efforts, take the Rockhouse Foundation Community Tour where you’ll learn how the Foundation is improving education for kids in Negril—it’s donated more than $4 million. 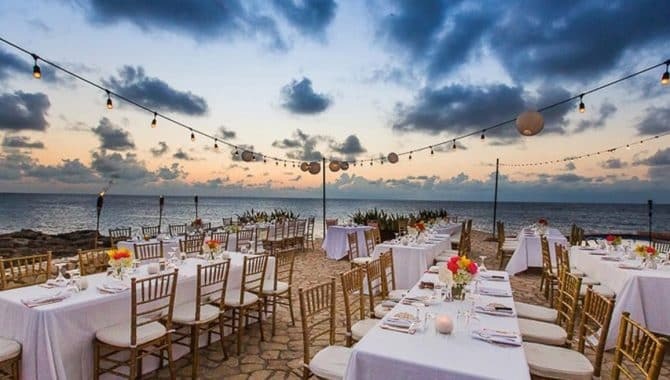 Finally, destination wedding planners love this hotel. 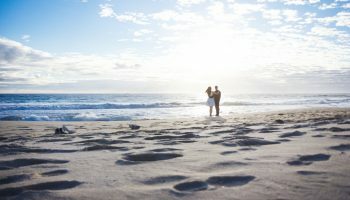 It’s strict “one wedding per week” policy, with a max of 20 per year gives couples the attention and exclusivity they deserve on their big day. 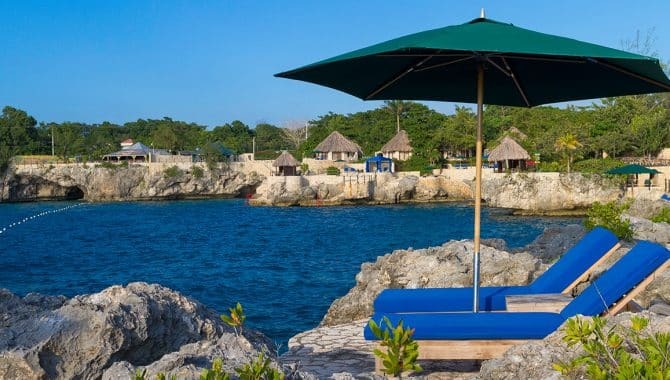 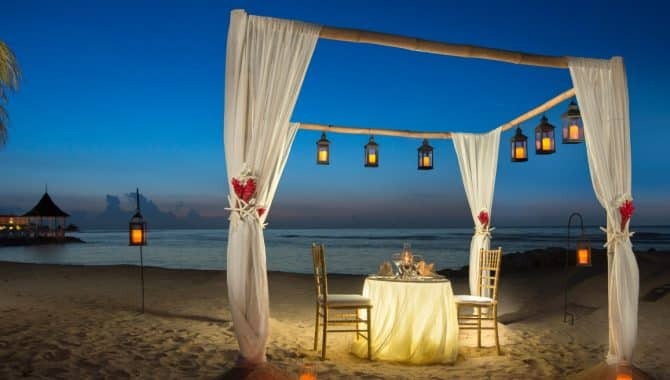 The Weddings Manager “Lici” Eastwood will work with you to create your dream wedding set in the cliffs of Negril. 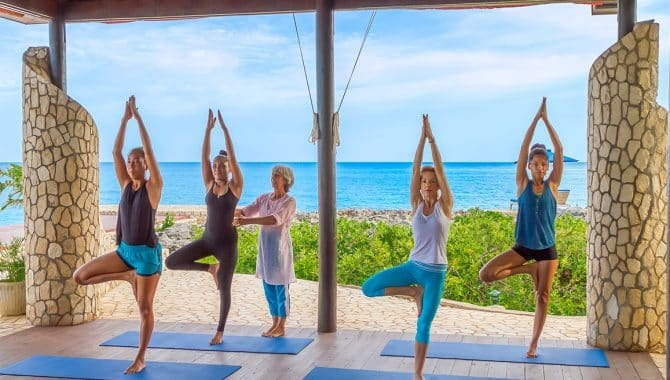 Whether you’re traveling as a family or couple, want to wake up for sunrise yoga or have breakfast in bed, Half Moon has everything you’ll need. 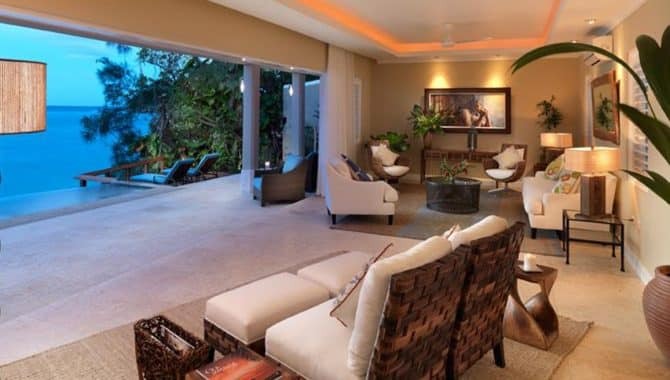 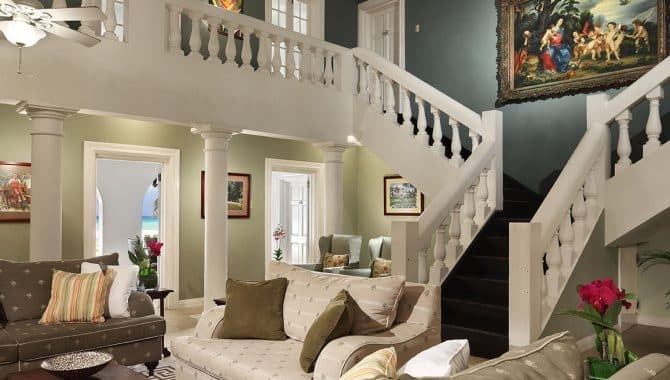 It’s convenient location just 10 minutes from Sangster International Airport means your trip is effortless from start to finish—Half Moon concierge wait just outside Customs to transfer you to the 400-acre resort. 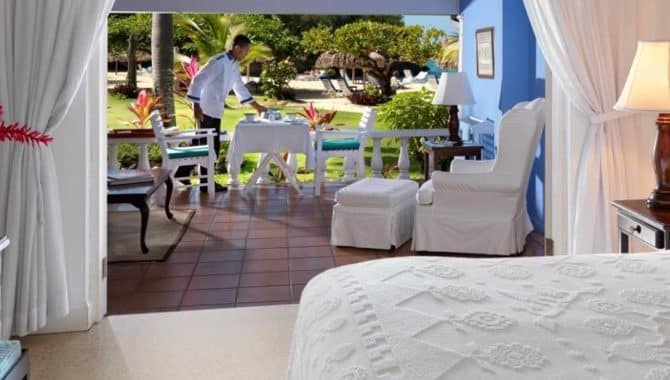 Garden, pool and ocean views surround each uniquely-designed room, suite and villa, with anything not walking distance accessible via bicycle. 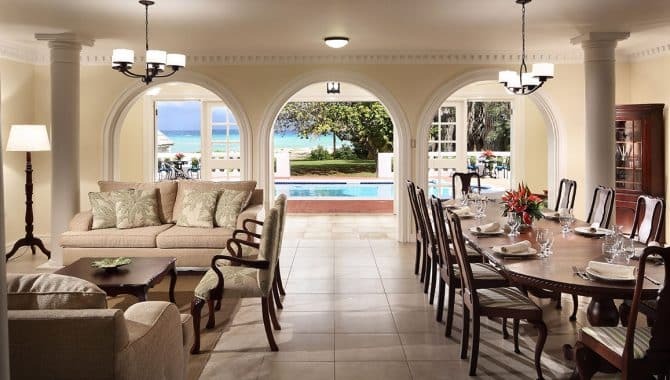 Villas have their own private pools, but not to worry if you booked a room—the resort has 50 pools plus two miles of serene beach. 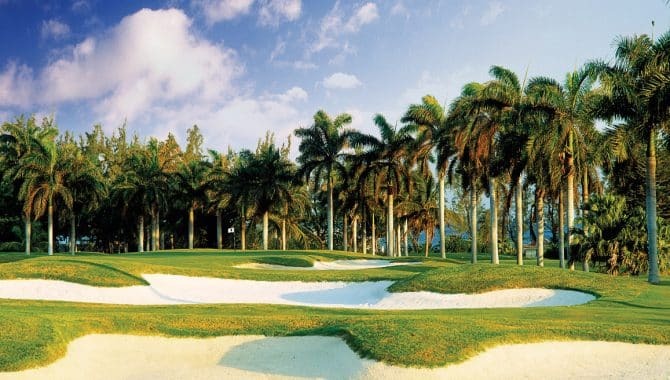 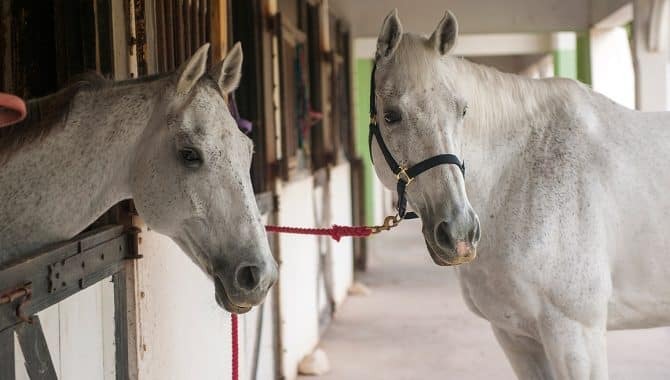 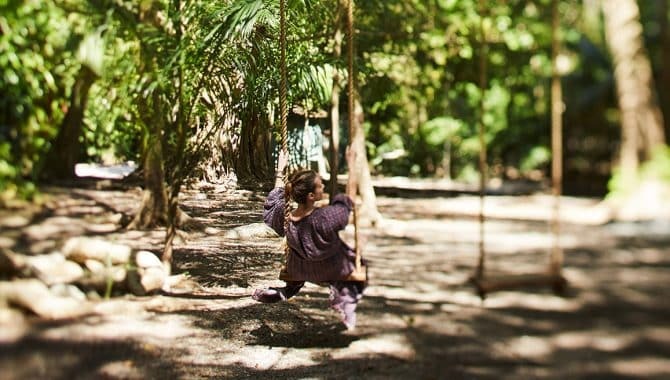 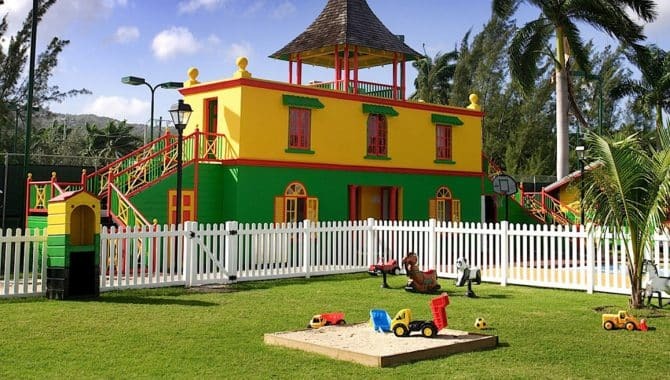 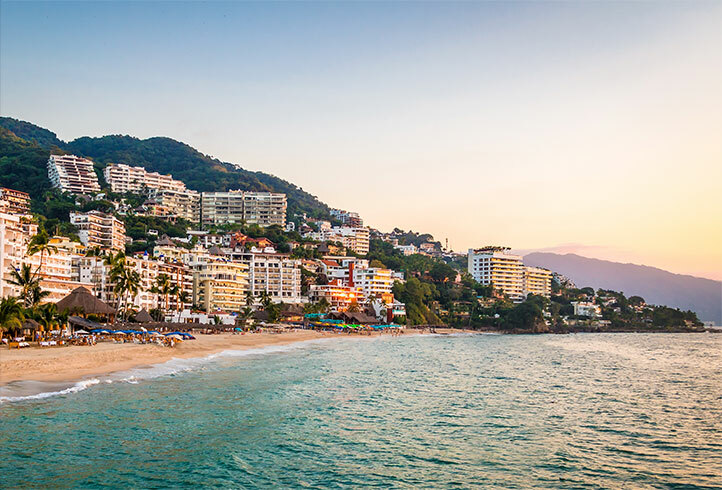 Half Moon allows both families and couples to get the vacation they need—with a Children’s Village and plenty of activities just for kids, romantic getaways will be undisturbed. 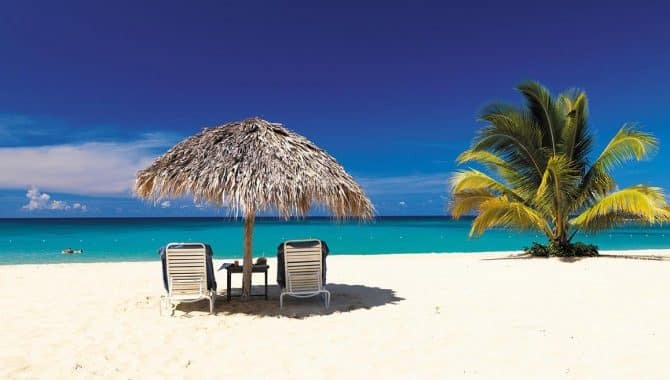 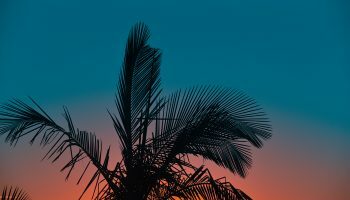 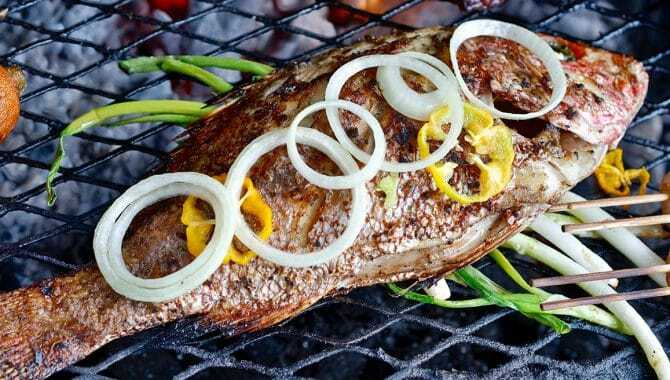 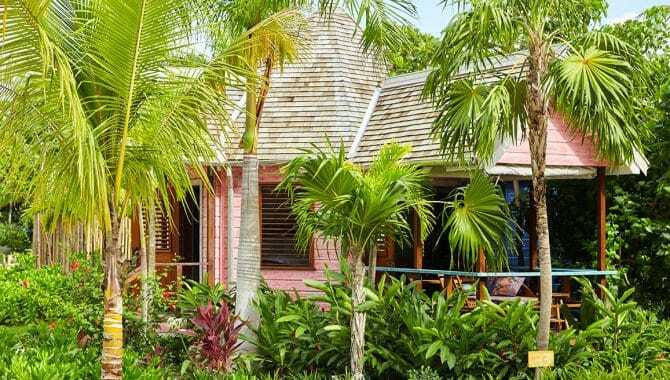 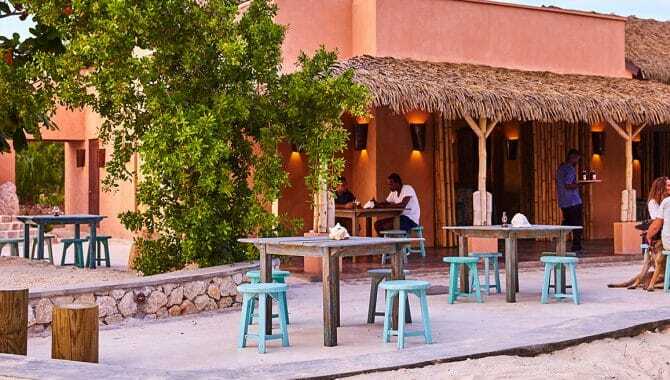 Dine at the award-winning Sugar Mill restaurant for tasty Jamaican cuisine, Il Giardino for authentic Italian food or enjoy a beach BBQ with live music with the whole family. 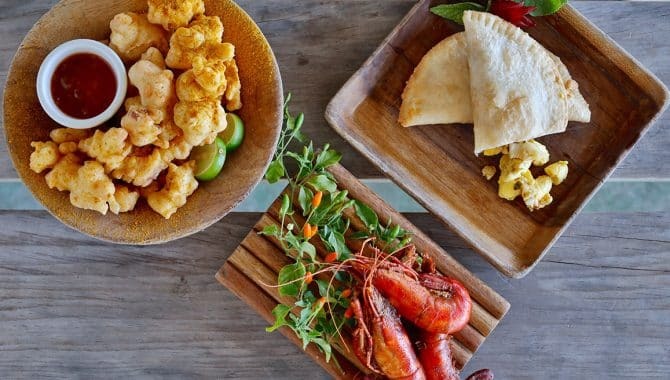 Half Moon has private dining options plus an array of bars and cafes, so a snack—or cocktail—is always in reach. 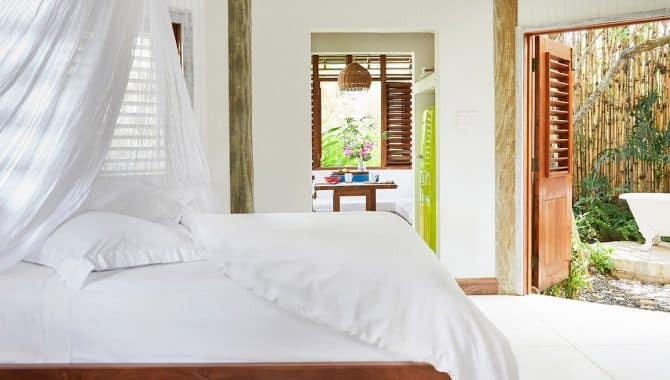 Once you’ve got a lay of the land, head to Fern Tree Spa for a couples massage in an overwater bungalow, quiet meditation in the gardens or yoga session in the outdoor pavilion. 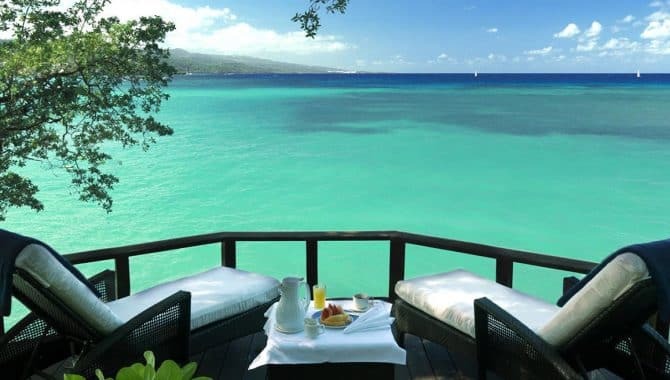 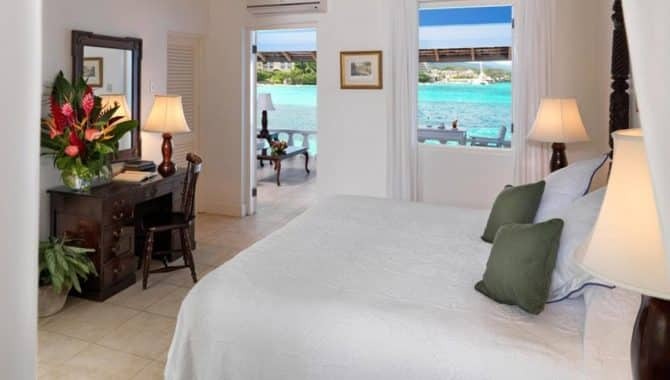 This family-run boutique hotel sits on its own private beach in Ocho Rios, Jamaica with just 48 spacious cottages and suites. 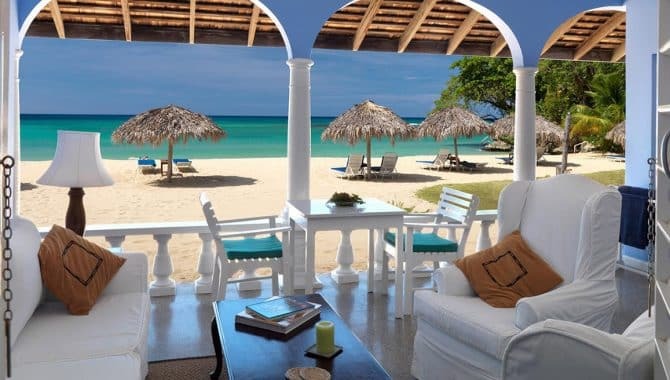 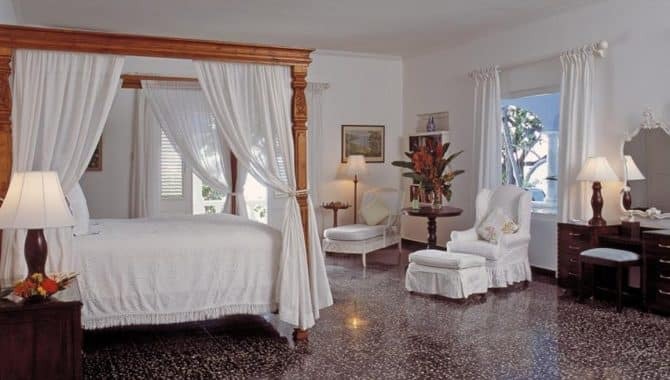 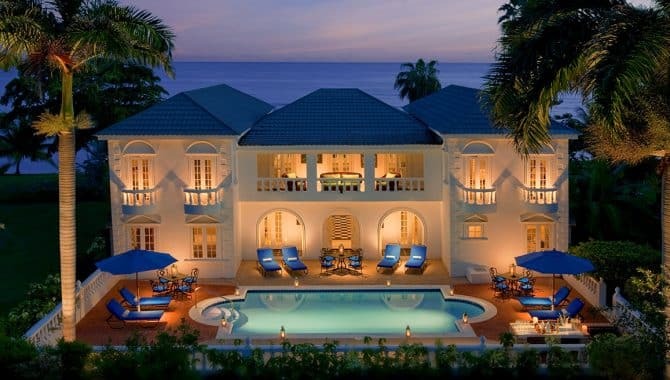 While Jamaica Inn welcomes children 10 years and over, this manicured property has a reputation for romantic getaways. 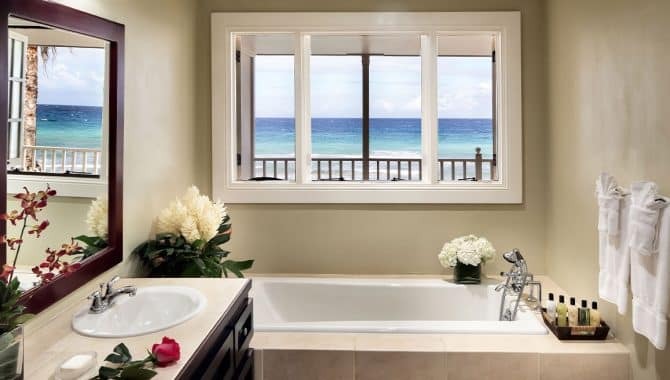 Luxury amenities and service here have been perfected over 50 years, ensuring you get the relaxing vacation you need, hassle-free. 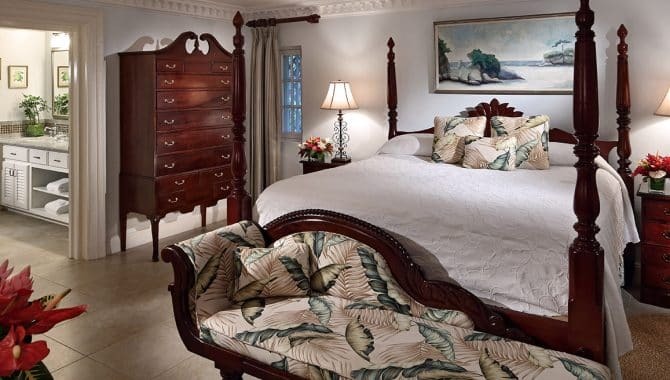 You’ll be delighted on arrival to your lodging—turndown service, upscale bedding and furnished balconies, make for a serene escape when you’re not lounging by the beach or pool. 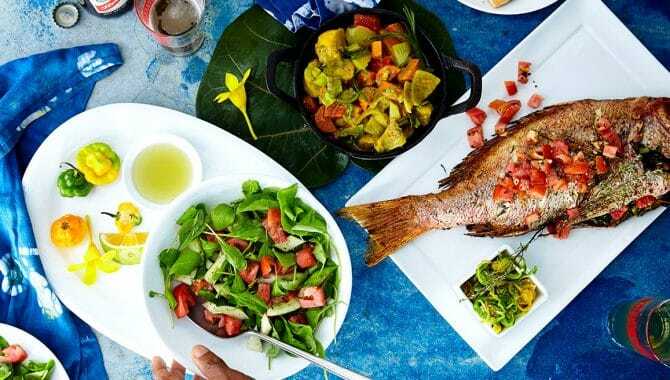 Indulge in a variety of cuisines al fresco at the oceanfront terrace, in your room or on the beach three meals per day. 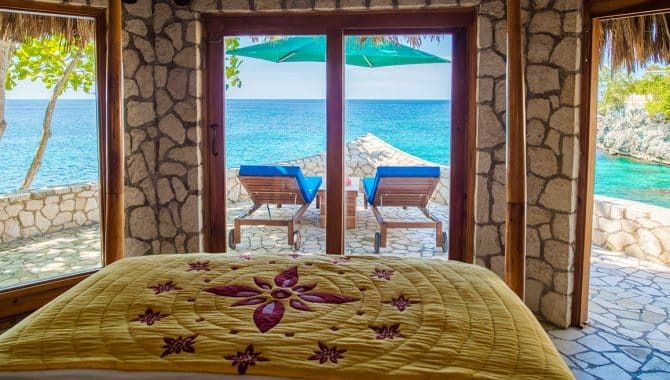 Unlike many small hotels, Jamaica Inn offers meal plans and an all-inclusive option should you decide that’s best suited for your vacation. 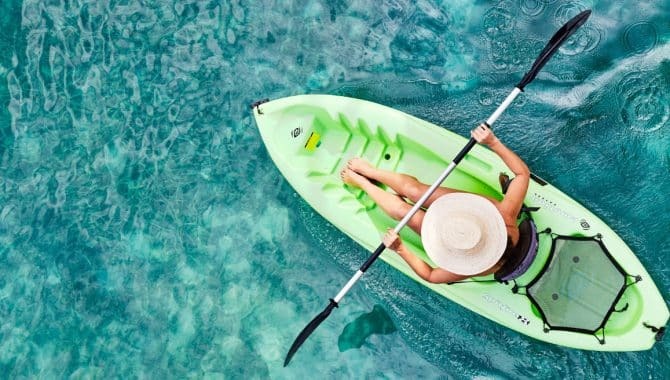 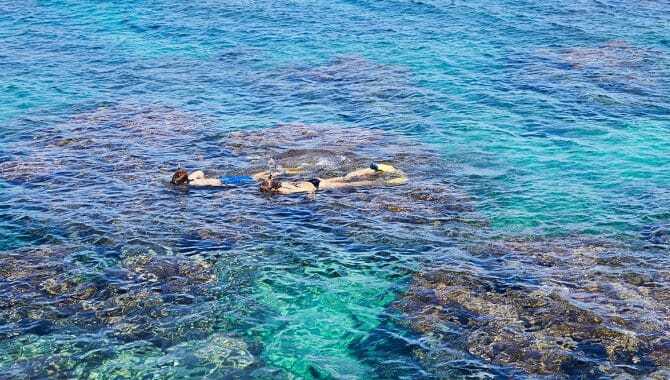 Complimentary kayaking, paddleboarding, snorkeling and sunfish sailing add the perfect amount of excitement to your days while the Ocean Spa awaits you with massages, facials and a full beauty salon when it’s time for R&R. 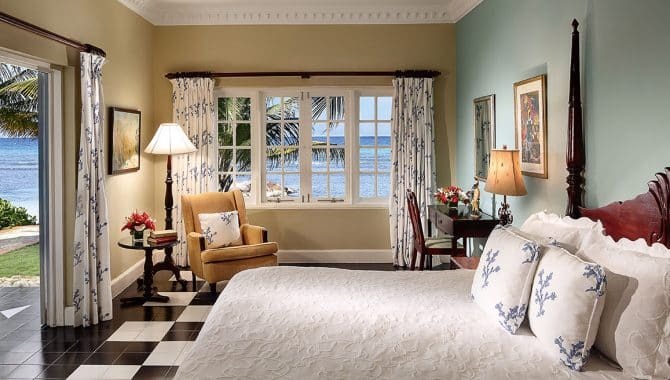 Experience adventure, inspiration and a seductively good time at the place James Bond started—author Ian Fleming created his character during a stay here. 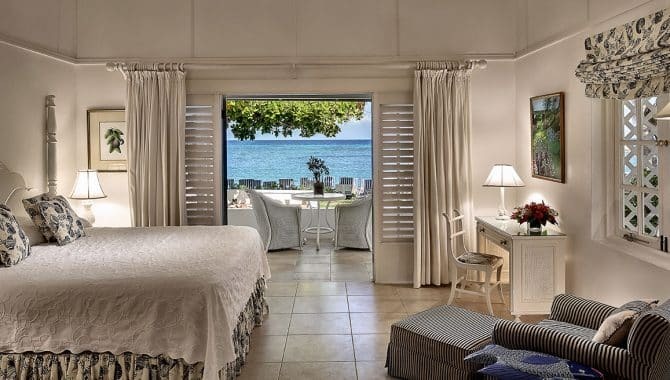 This dreamy beach hotel has two powdery-sand beaches with nearby reefs for exploring with your snorkel set, kayak or glass-bottom boat provided by the resort. 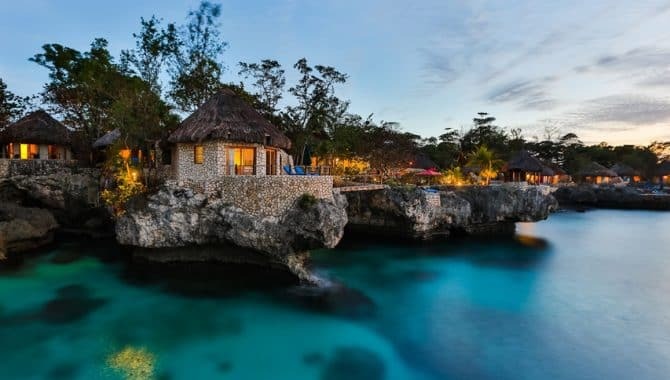 When not swimming in the ocean, the Lagoon draws you in with a crystal-clear, warm water or two fresh-water swimming pools that always give a tranquil setting next to resort bars. 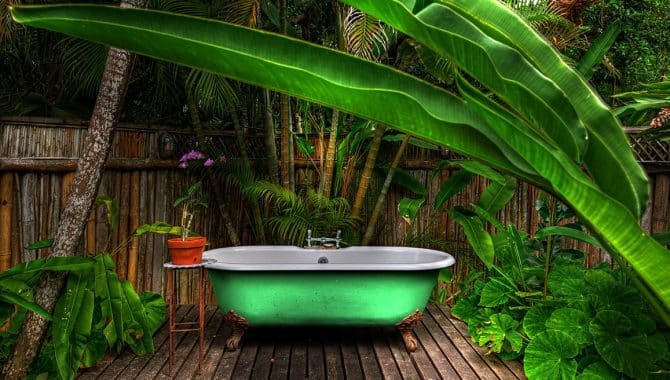 The on-site FieldSpa exists purely for your relaxation with herbal wraps, meditation and of course, calming massages. 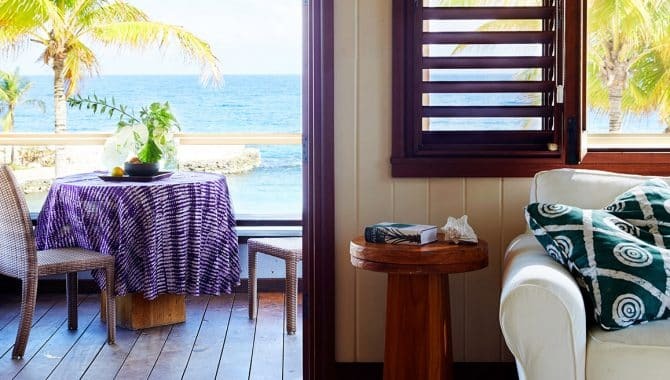 As far as accommodations go, we could go on for days with the special amenities but outdoor rain showers, claw foot tubs, oversized furniture, open-air feels and Blackwell Rum get the point across. 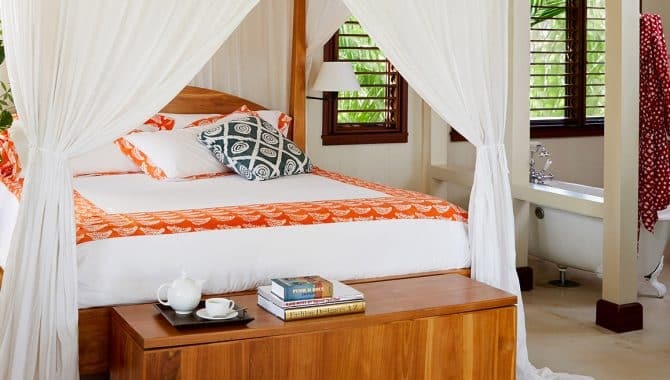 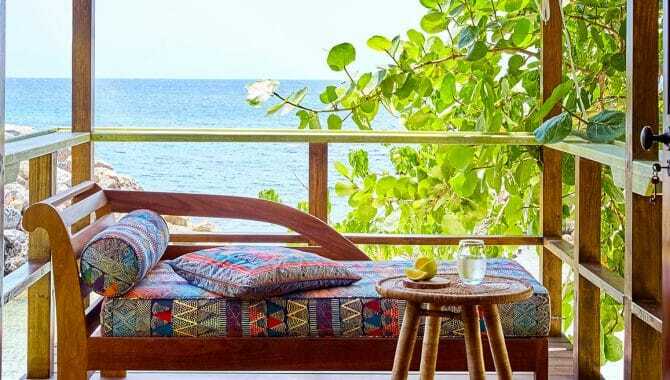 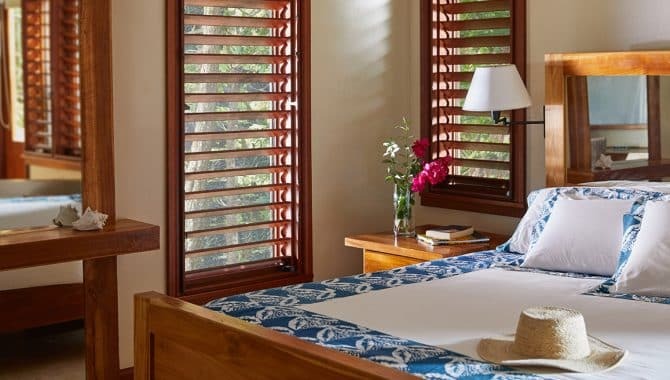 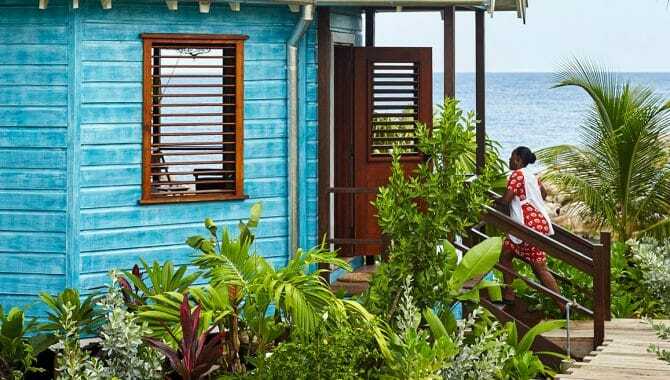 The stylish abodes come in beachfront villas and huts, lagoon cottages and even the original houses of the owners like Ian Fleming and Chris Blackwell. 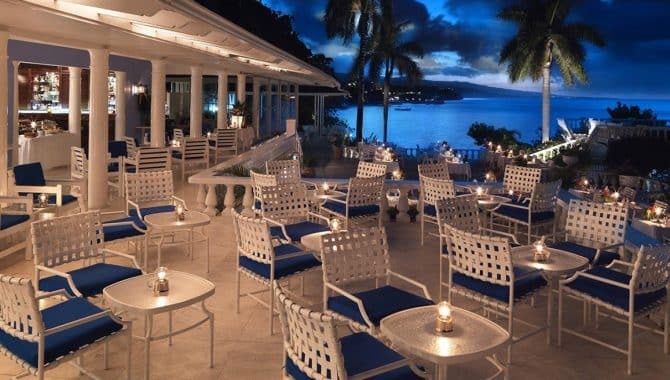 Dining options are similarly impressive—choose between the tree-house restaurant Gazebo, in-room dining or an outdoor mean under the stars after your curated cocktails at one of the hotel bars. 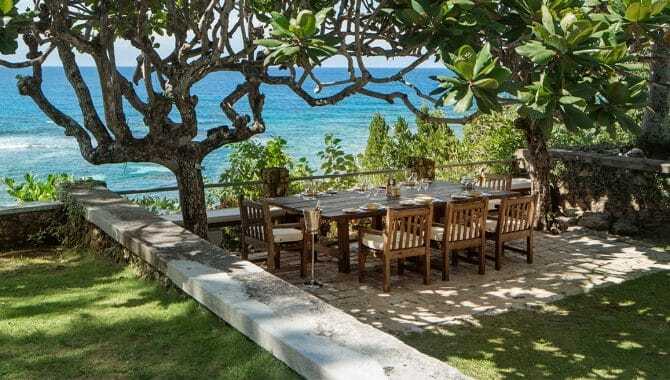 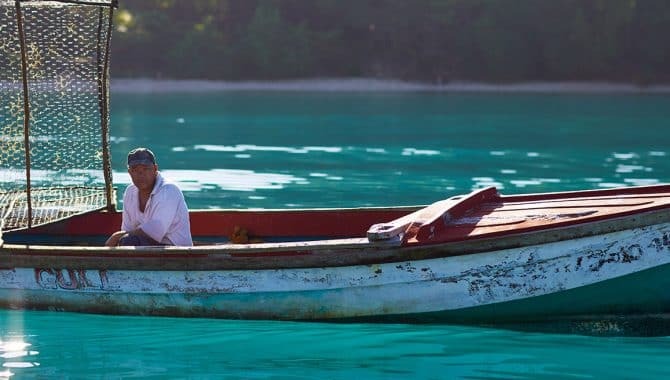 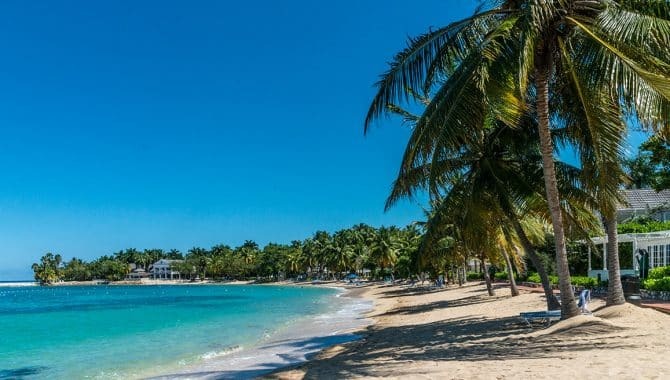 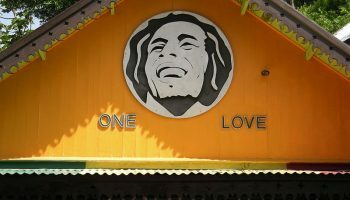 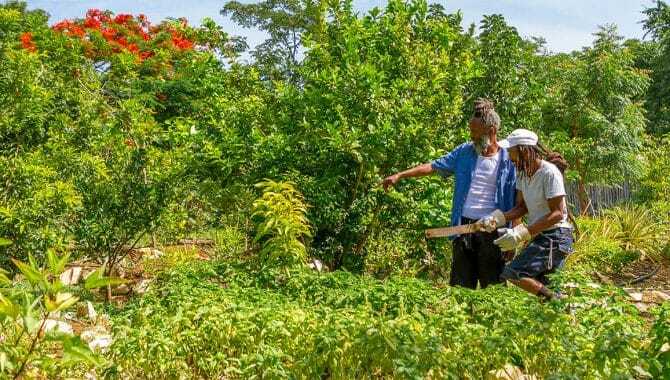 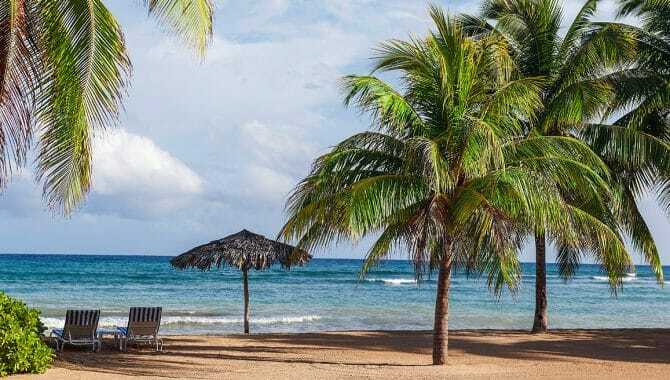 If you’re feeling extra fancy during your stay, you can plant a tree on the property by donating $1,000 to the Oracabessa Foundation…Kate Moss and Johnny Depp did it. 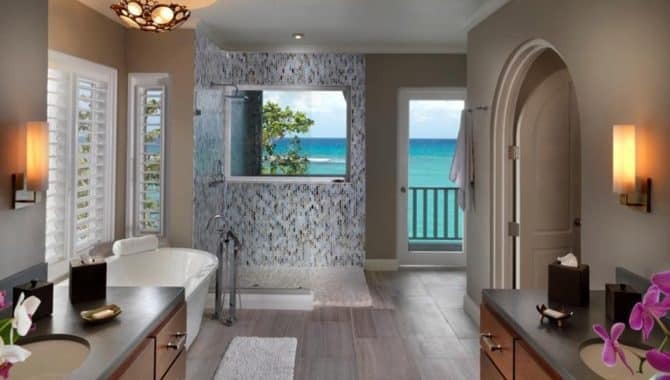 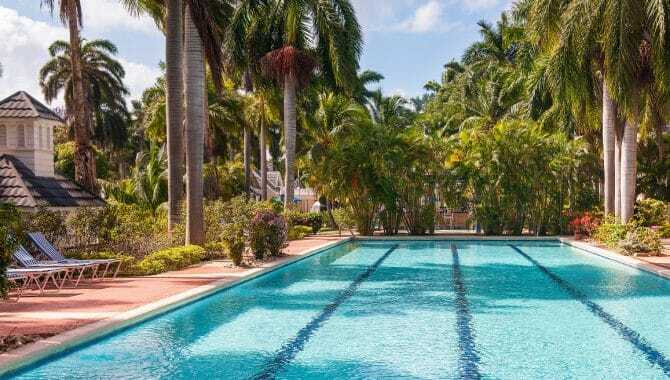 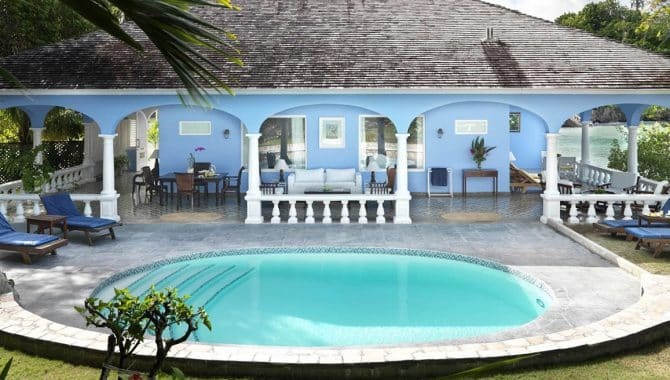 This family-owned, 50-room boutique hotel awaits you right on Seven Mile Beach with two freshwater pools and a beachfront bar and restaurant. 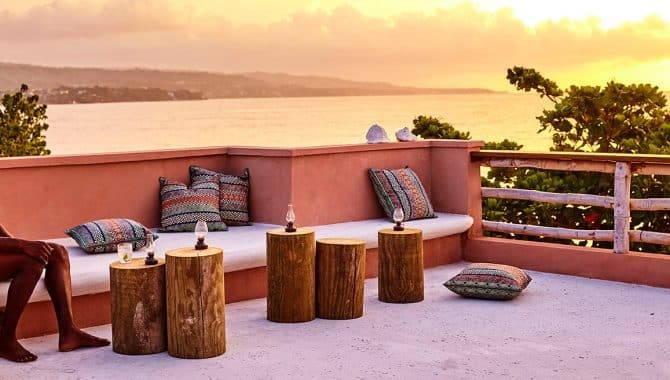 Pink-stone pathways lead you to Garden Side, Beach Side and Ocean View rooms with charming decor, cedar furnishings and cozy verandahs. 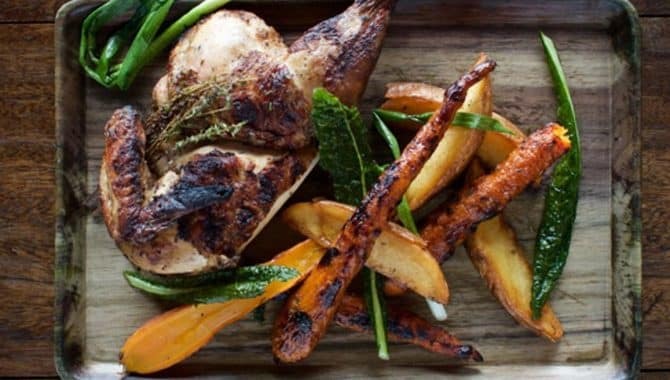 The on-site buffets offer top-of-the-line meals using ingredients from the local farmer’s market with a la carte choices available as well. 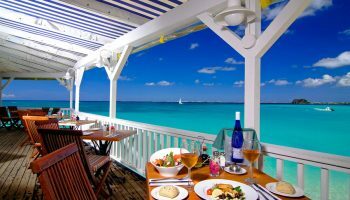 Your taste buds certainly won’t forget dining here—with constantly refreshed options and four themed dinners each week, you’re sure to get your palate out of its comfort zone. 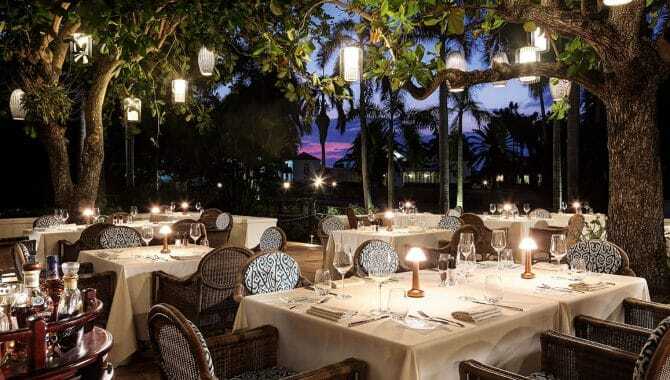 Choose between a convenient all-inclusive plan or the “Room-Only” plan that offers a la carte menus and 10% discounts. 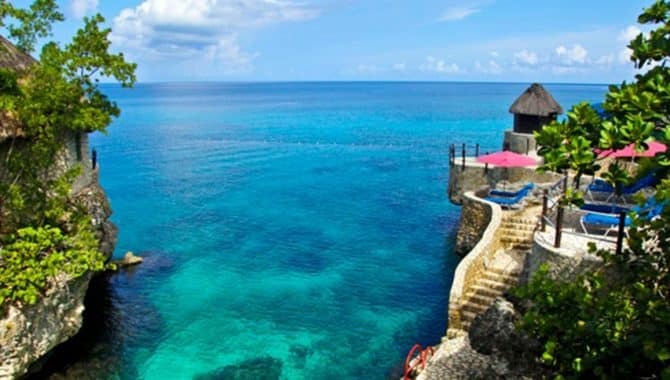 No matter which plan you choose, you have full access to sister property, Samsara on the Cliffs, with a free shuttle there twice per day. 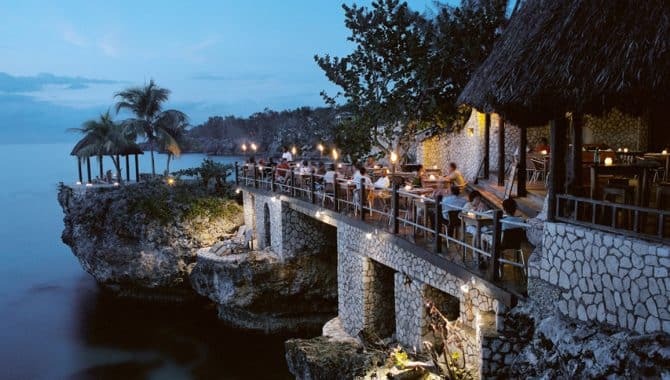 Just be sure to make a reservation if you want to dine at the sister property—you could even make arrangements for a romantic dinner for two. 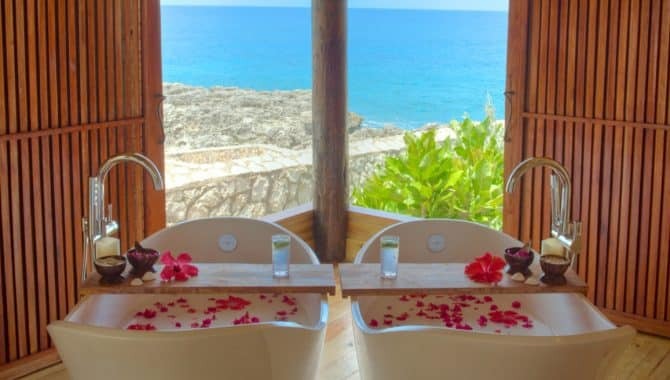 While you plan your day at Samsara, add on soothing treatments like a hot stone massage or manipedi at the Spa at Samsara. 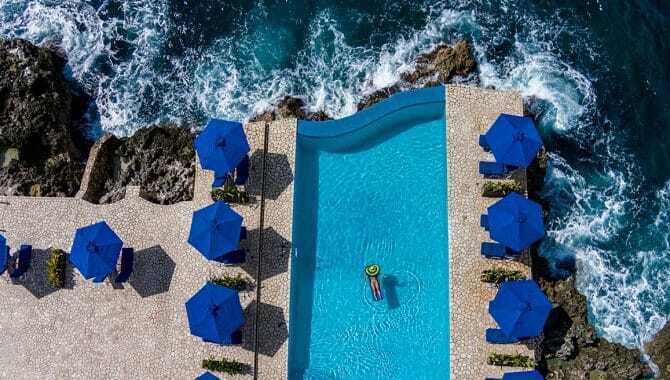 You’ll never feel pressure to do anything more than simply be at this hotel—sleep in, enjoy live music on certain nights of the week or go for a late-night dip, the choice is yours.